It’s undeniable that skincare has become increasingly complicated over the last decade. On a daily basis we’re told to add another step into our regime, opt for the newest ground-breaking ingredient and tackle the latest issue that’s been discovered to have an impact on the way we age. Although I wholeheartedly embrace developments and innovations within the industry, sometimes it can be just as effective to go back to basics and treat your skin in the way is craves to be managed. 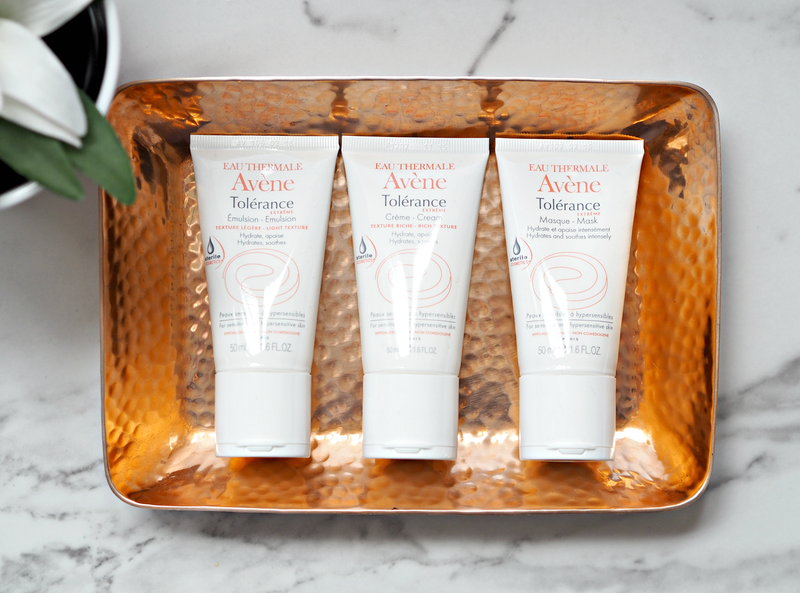 Eau Thermale Avène are a brand I’ve had an affinity with for a long time, especially as I can almost single-handedly accredit them with the complete change in my boyfriend’s dry skin condition and best friend’s adult acne issues. All of the Avène products are uniquely enriched with the clinically proven soothing and anti-irritating properties of the Avène Thermal Water which has long been used to soothe all manner of skin ailments in their internationally renowned Hydrotherapy Centre. They’re not just another ‘French pharmacy brand’, but a brand that truly understand the makeup of skin and aim to help maintain its health via a portfolio of products that really make a difference. 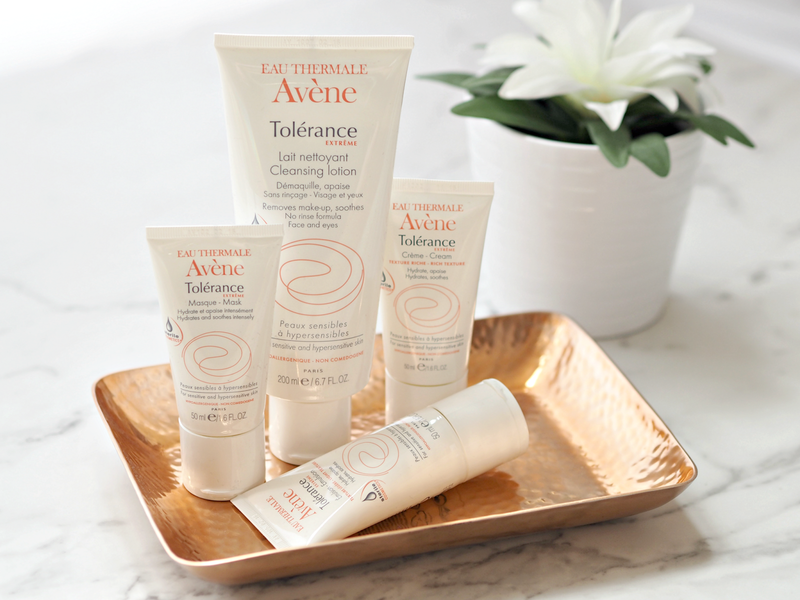 Avène’s newest launch is the Tolérance EXTRÊME skincare range which takes things back to basics entirely – by using only SEVEN ingredients or less to formulate products that only contain what they need. Our skin is faced with multiple aggressors every single day; from the changing weather, stress, air conditioning, pollution and the sun’s damaging rays, it’s given a lot to cope with. Combine this with complicated skincare routines and a plethora of ingredients, it’s easy to see how we overload our skin without realising it. On many occasions I’ve been asked by a reader how they can tackle their skin issues, and 90% of the time they’re simply overloading their face with far too many ‘solutions’, causing more trouble than they’re actually solving. Tolérance EXTRÊME provides a simplified approach to skincare, with each product featuring seven ingredients or less (versus the 20-60 often in other skincare products) to ensure your routine delivers only what it needs. It’s suitable for all kinds of sensitive skin (including hypersensitive,) and is intended to offer the customer a chance to simplify their skincare without compromising on quality, effectiveness or gentleness. This is all about moisture, providing a combination of water, humectants and oils to preserve hydration and protect the skin’s barrier; you can of course add in a targeted serum, eye cream and SPF to tackle signs of lethargy and ageing, but fundamentally this innovative four-piece range just helps to hydrate the skin and leave it feeling touchably soft. So how, I hear you wonder, can Avène reduce the number of ingredients so significantly while ensuring the effectiveness and stability of the product inside? The formulas are all 100% sterile and protected from contamination risks thanks to patented packaging that preserves the product without need for added preservatives or fragrances. In simple terms, there’s a magic sterile cap that stops anything getting inside the formula (including air) to impact it’s ability to maintain stability (stay as one formula, rather than separating into different layers) or ‘going off’. Most products across the beauty spectrum are packed full of preservatives to keep them performing for as long as you need them, but these preservatives are often the most irritating of ingredients and aren’t suitable for sensitive skin. 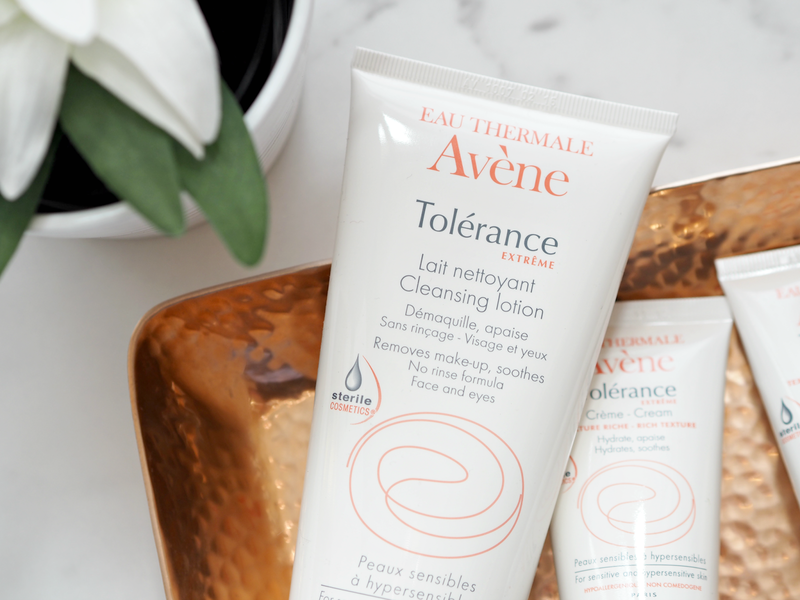 By removing the need for these preservatives, Avène has been able to keep ingredients to a bare minimum and ensure Tolérance EXTRÊME is suitable for everyone. Want to know more about the products themselves? A lightweight cream that’s been specifically designed for all skin types and all levels of sensitivity, this is the perfect daily accompaniment if you just need a little moisture boost under your makeup. It’s quick to absorb and non-greasy, providing a hit of moisture without the faff. A slightly heavier cream that’s enriched with the nourishing benefits of shea butter and Vitamin E, this is perfect for those with dryer skin or to use before bed for an overnight treatment. A creamy cleanser that helps to lift away the day’s build-up and impurities, this is a great way to prep skin both morning and night. If you don’t wear a lot of makeup a single use is fine, but if you’re a bit heavy on the mascara then I’d recommend a targeted eye makeup remover alongside it for best results. A great way to hydrate skin when it’s feeling a bit thirsty, this creamy formula is easily spread over the face and left to either absorb completely or removed after a short burst. It’s enriched with shea butter and safflower oil to help leave skin feeling baby smooth, while the thermal spring water soothes away the day’s frustrations. A great all-rounder. 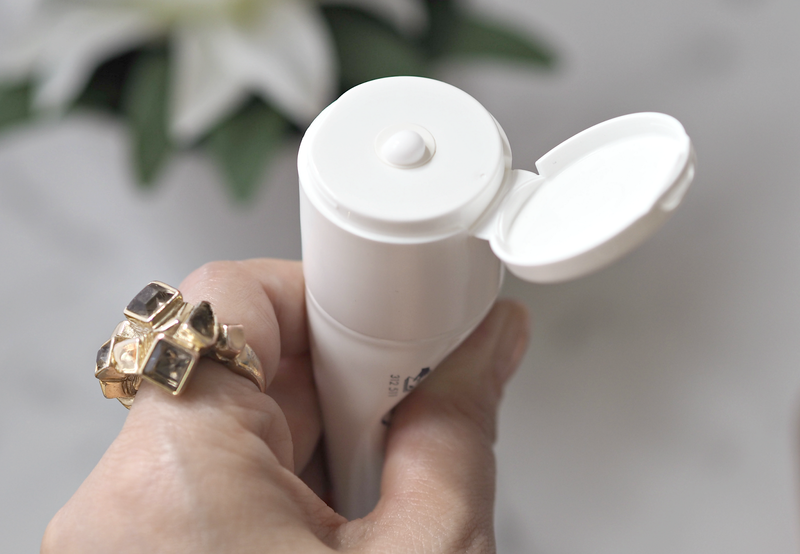 I’m thankful that Eau Thermale Avène are finally providing a simplified and easy-to-use product range that’s suitable for everyone, while still being incredibly affordable. My first impressions of all four products have been great, but I’m going to be putting them to the test exclusively for the next three weeks. I’m parking up my usual moisturisers, night creams and face masks in favour of Tolérance EXTRÊME – to see what difference it can make to my skin, and how I cope with going back to basics. Stay tuned for the results, but in the meantime why don’t you #KeepItSimple too? What do you think of the Tolérance EXTRÊME range? Do the number of ingredients in your skincare concern you? Do you have sensitive skin, triggered by preservatives or otherwise? 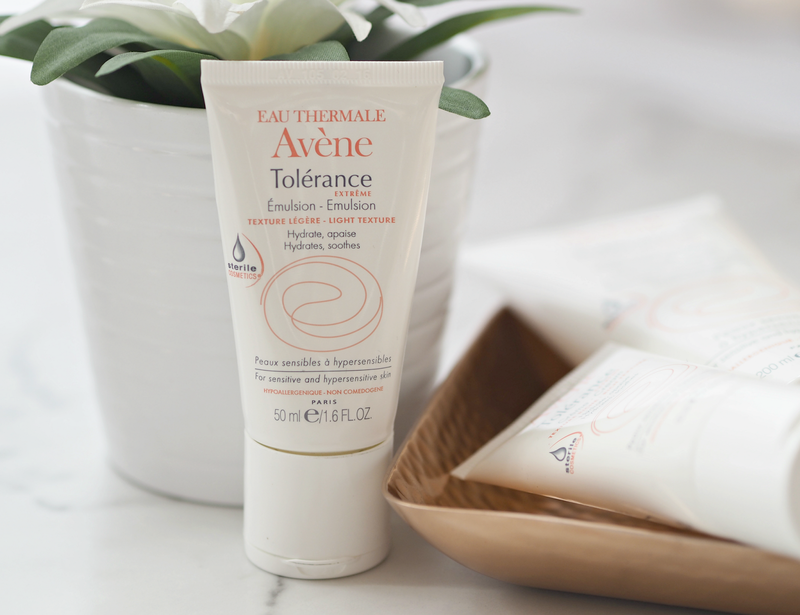 The Eau Thermale Avène Tolérance EXTRÊME range is available now from Boots stores nationwide, as well as selected retailers, priced from £13.50. The new cleanser launches January 2017. This is a sponsored post on behalf of Eau Thermale Avène; all opinions are my own. It's such a simple idea that makes a big difference!